Charles Booth opened La Coupe, then known as Le Cartier Hairstyles, in Montreal, in 1967. He was 21 years old, having already been trained by Vidal Sassoon in London and worked in the first Sassoon Salon in New York. 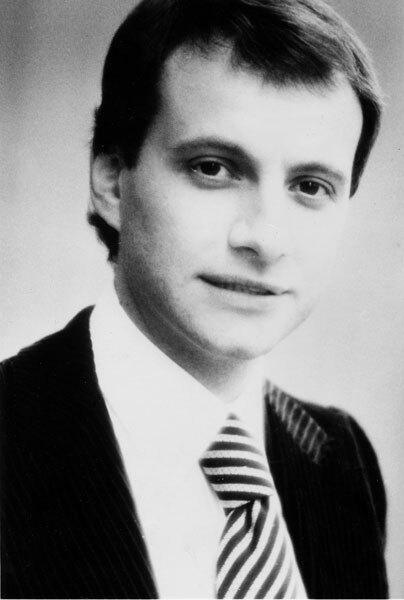 He opened a second salon in Montreal, in no time, a salon on Madison Avenue near 63rd Street in 1971, a third salon in Montreal, then he opened a salon in Toronto in 1977. His first Montreal Salon was the most creative salon, highly successful, very busy, did the hair for most top models, the best fashion shows, editorials, and the beautiful people. The innovative photos I art directed from 1974 to 1978 became world-famous, often setting hair trends everywhere. Hairdressers traveled from all over the world to see our 2-day “Teach-Ins” in 1976-1978 and La Coupe was published in all the major media of the world. In 1983, Charles started a hair care product line, La Coupe, which was a big success with its chic and unusual black packaging. People still talk about it. La Coupe also introduced the Mousse to North America and was one of the first cruelty-free product lines, not tested on animals. He now lives back in the UK, and sells his Canadian-manufactured products to pharmacies and mass market outlets in many countries. I opened the first salon, stayed 4 years, resigned, came back 3 years later and, as Creative as well as PR Director, I worked with the hairdressers on the actual hairstyles and colors and art directed the photos, which became world-famous during very heady Camelot-like days from 1974 to 1978 when Charles lived in NY and I was still living in Montreal. All the better because he wasn’t there all the time! I traveled back and forth to the New York and Toronto salons regularly doing PR, photography, organizing fashion, hair and tv shows, until I moved to NY myself late 1978. I left La Coupe in 1979, returned in 1986 for a couple of years, then returned again in the early 90s for a few years. Charles believed in me; let me create amazing hair and photos for La Coupe with his talented hairdressers, often for art. Many now cult photos. He let me do my thing. And I came up with unique themed campaigns, starting in 1974, all geared to the press, in order to attract clients to the salons. We were particularly prolific during the 70s, as you will see. We loved and hated each other, Charles and I, through 14 tumultuous and also terrific years over a 30-year period. I resigned twice, Charles fired me twice. He drove me crazy and I drove him crazy. We had spent plenty of time, sometimes years, not speaking to each other, then making up. Although not working together since 1993, there was yet another traumatic disagreement about 2 years ago and currently we are not speaking to each other… Added! Had an hour long conversation from London to New York, so we are now speaking again as of October 14th 2012. I wonder if Mr Booth remembers working with my father in New York late 60s. Enrico Corsini. I will ask him. Thanks for posting. Yes, Enrico, Mr. Booth remembers him. He is on holiday at the moment, said he will respond in about a week. I’m completely speechless! I can’t tell you how much I appreciate what you’ve done Mrs Oppenheim! Was contact made? Thank you for the speechless thank you. I was a friend of Charles Booth several years ago when we both lived in NYC. I have also returned to live in the UK, actually in London, and would love to make contact with him. Not sure how all this works but my email could be passed on to him. Thanks, Lesley Dawson. Another wonderful benefit of your having your done such a fabulous job on the web Helen, to have the chance to be back in touch with Mary Ann, we go back to 1965 when Vidal sent me out to do a fashion show in NY with square curls and beautiful geometric cut wigs that brought the house down, Mary Ann was the fashion director at the famous dept store where we did it. Then when she was working at the NY TIMES she was my client with the five point cut, and one day while trying to make the fringe PERFECT I nipped her eye lid, I nearly passed out, thought I would be fired, she was soooo nice made no fuss. There are loads of lovely memories and great times. some of his work is there. I’m seeing Charles tomorrow, will tell him you posted. Charles. What wonderful words. You might even turn my head. Thank you. You made it all possible when you believed in me and let me do my thing. What a memory – to remember the stamps having to be straight. So true. And they had to be the right stamps! Thank you for remembering and having kept all this beautiful work. You know I did always and do appreciate how extraordinarily talented you are, and what you brought out in all of those talented people involved in creating the photographs.You created images and whole campaigns from the idea stage right through to the mailing of them even the stamps had to be on straight. Every detail considered and refined. You made La Coupe and some who worked with us there, famous amongst hairdressers all over the world. What an amazing collection,in my opinion, this body of work is one of the finest ever executed over a period of time in the hairdressing world. It wasn’t always smooth sailing but together we sailed to the top. Thanks and congratulations again Helen. Those were the days. Very special. Thanks for posting. Dear Charles, what a delight to discover you again! I am living in Santa Fe and beginning a memoir (watch out!!) so would love to hear from you. E-mail me if you can and let me know how and where you are!! him this post right away.